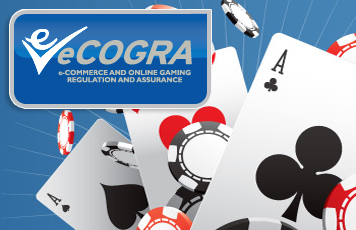 London, 11 February 2010 – The latest major affiliate program to achieve the eCOGRA Affiliate Trust seal accreditation is Star Partner, a program that administers the affiliate marketing affairs of fourteen well established, tier one online gambling destinations. Announcing the accreditation after an extensive inspection and monitoring process, eCOGRA chief executive Andrew Beveridge said that to display the Affiliate Trust seal, affiliate programs must demonstrate that their program establishes, enforces and monitors best practice standards. Specifically, they must show that they calculate affiliate revenue accurately and make payments promptly, communicate efficiently and that they have controls in place to accurately link players to affiliates. eCOGRA’s monitoring affiliate program provides the most public, structured and formal on-site approach, ensuring adherence to consistent standards through regular monitoring and full annual reviews carried out by appropriately qualified audit and accounting professionals. Conrad Haack, Affiliate Program Manager at Star Partner, said that the interaction with eCOGRA’s compliance team had been intense and useful, improving several aspects of operational activity in a business sense. Star Partner administers the affiliate programs of fourteen major and well established online gambling sites, including Crazy Vegas, Golden Riviera, Sun Vegas, Maple, River Nile, 777 Dragon, Aspinalls Casino, Aspinalls Online Poker, Casino AUS/US/UK, Casino France-Net, Cinema Casino and Crazy Mobile. The program makes no royalty deductions and does not implement negative carry over from month to month in its dealings with affiliates. Star Partner offers up to 1,000 different tracking codes per casino or poker room, and gives operators and affiliates extensive, fully transparent live reporting capabilities and easy to use advertising and promotional material, backed by responsive support.